May 13, 2013 -- In the 1870s, Eberhard Anheuser and Aldolphus Busch were just starting to build their brewery empire in St. Louis. Other recent immigrants were doing the same thing in other cities -- Frederick Miller, Frederick Pabst and Joseph Schlitz in Milwaukee; Bernhard Stroh in Detroit; and Adolph Coors in Golden, Colo.
At the same time, in Los Angeles, a young Bavarian immigrant named Joseph Maier left his job at the New York Brewery, on Third Street between Main and Spring, and purchased the Eintracht Saloon at 163 North Spring St. -- just across the street from the current location of the Los Angeles City Hall. The saloon business was so successful that, in 1882, the 31-year-old Maier partnered with George Zobelein to purchase the seven-year-old Philadelphia Brew House, located just south of the current site of Union Station, and renamed it the Maier and Zobelein Brewing Co.
During the next two decades, the Maier and Zobelein brewery grew along with the city, providing a wide assortment of brews and brands to taverns and retail establishments. By 1905, the brewery produced more than 100,000 barrels of beer per year, with more than 150 employees, and was one of the largest breweries in the Western United States, with facilities and operations in Nevada, Arizona, Utah and New Mexico, as well as Mexico. The Los Angeles property had expanded to include an office building, clarifying cellars, a bottling plant, stables, a garage, stock houses, blacksmith shops, paint shops, malt houses, laboratories, malt kilns, mill houses, a brew house, malt elevators, refrigerating cellars, carpenter and cooper shops where barrels were made, and all the other essentials of a modern brewery. Today, the Anheuser-Busch, Miller, Pabst, Schlitz, Stroh and Coors brands have endured, and have become household names. But for Joseph Maier, his American dream quickly evaporated in a series of family tragedies. The Maier brands, which quenched thirsts for nearly 100 years, haven’t been sold for decades. The massive brewery complex in Los Angeles has been torn down -- replaced by a chain restaurant, parking lot and a bus lane -- and Maier’s name is now remembered only by local historians and collectors of brewery memorabilia. Maier was born in 1851 in Wolnzach, Bavaria -– now part of Germany -– and came to the United States at the age of 20, along with his 18-year-old brother, Simon. Maier had studied brewing in Bavaria, and found work at a brewery in Leavenworth, Kans., where he met and married Mary J. Schmidt -– and Simon married Mary’s sister, Louisa. The two couples moved west, and eventually settled in Los Angeles, where Maier worked at the New York Brewery, the city’s first brewery. At the start, the Maier and Zobelein Brewing Co. was basically a two-man operation, with the partners doing all the brewing, marketing, delivering and collecting. And, although Maier and Zobelein were equal partners in the operation, when they filed for incorporation, Maier was named president for legal purposes, with Zobelein as vice president and secretary. 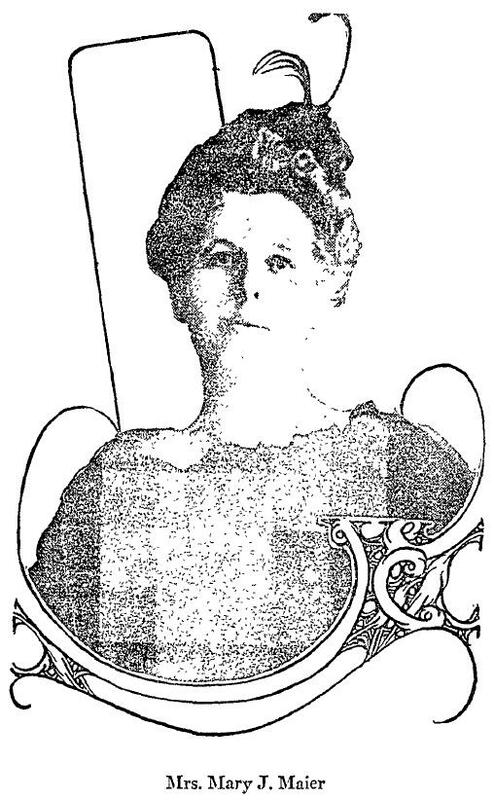 Joseph and Mary Maier had three children -– Joseph Frederick Maier, born in 1876; Luisa Martha “Lulu” Maier, born in 1878; and Edward Richard Maier, born in 1882. 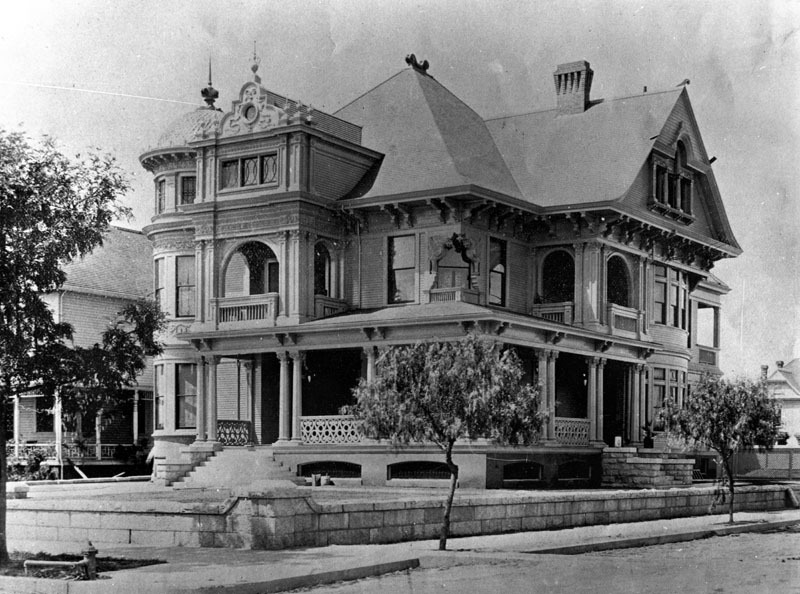 The Maiers' daughter died at the Maier family home at 1605 S. Figueroa St., on the southwest corner of Figueroa and 16th streets, on March 24, 1897, two months before her 19th birthday. 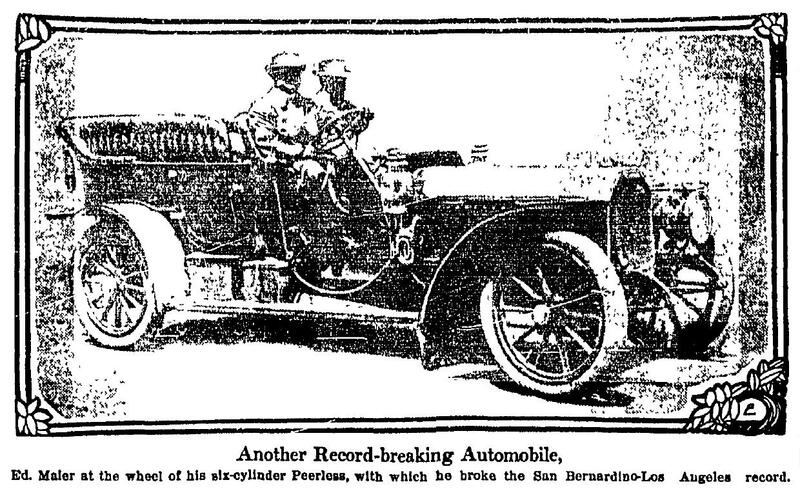 According to the report in the Los Angeles Times, 120 carriages made up the funeral cortege from the home, where the funeral services were held, to Angeles Rosedale Cemetery. "For the first time at a funeral in this city," according to the Times, "the corpse was not encased in a regular casket. An innovation was introduced by the funeral directors in the shape of a burial couch. This was an elegant divan upholstered and decorated in a delicate shade of pink. Upon this the remains, clad in a rich robe instead of the conventional shroud, reposed. The dead maiden thus lay in state in the richly furnished apartment which she had occupied during life, having to all appearances the effect of not being dead, but calmly sleeping. When the last leave-takings were over and the funeral chant was sung, a cover was placed over the couch and it was placed in the bier and conveyed to the grave." It’s not known exactly when the Maier family mausoleum was completed at Angeles Rosedale, but Lulu Maier rests today in the lower crypt, on the left side – presumably still reclining on her "burial couch." A few years later, Joseph Maier began to suffer from heart problems and paralysis, and the family took a seven-month trip to Europe in 1903 in the hopes of improving his health. After returning from Europe, Maier remained confined to the family home for the next two years, until his death due to heart failure on July 11, 1905, at the age of 53. 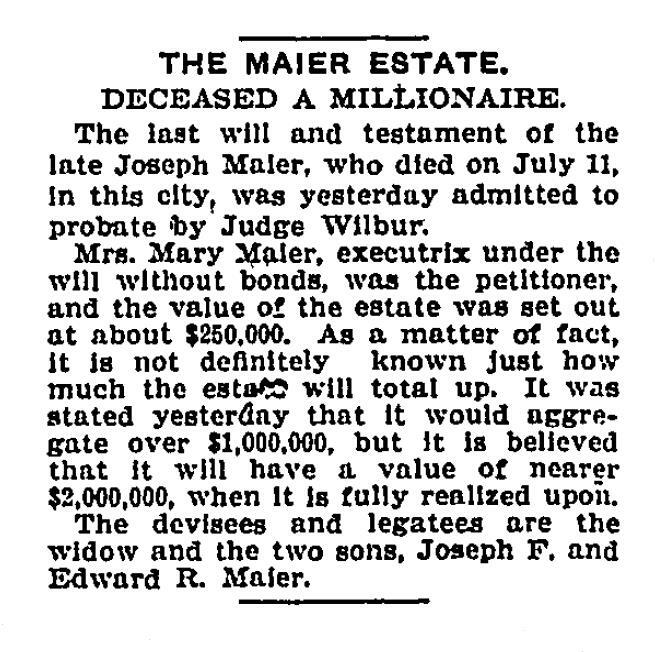 When Maier died, he left an estate worth an estimated $2 million -– more than $50 million today -– and his share of the brewery to his wife and two sons, 29-year-old Joseph and 22-year-old Edward. Less than a month after Maier’s death, Zobelein filed a lawsuit -- "like a thunderclap out of a clear sky," according to the Times -- charging that stock manipulation and fraud had given the Maier family a controlling interest in the company, and that he should be given management of the business. 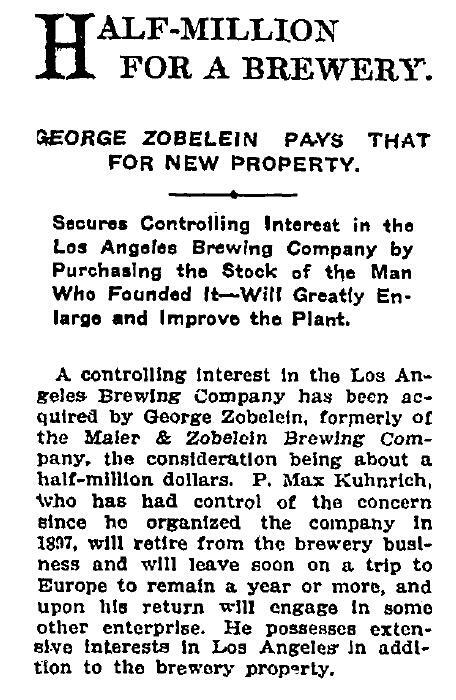 Zobelein charged that, for several years prior to Maier's death, his partner and the Maier boys -- who were both brewery employees -- were secretly asking other employees to transfer their stock to them, so that they could have a majority control in the company. Zoberlein said that, from the beginning of their partnership, he and Maier always agreed that they would be equal partners in the business. Zobelein also charged that the elder Maier son "is seldom at the brewery in the afternoons ... neglects the business, and uses the property of the corporation in ministering to his own pleasure." The younger son, Zobelein charged, "is incompetent, inattentive to his duties and frequently absent while keeping persons waiting to settle accounts." 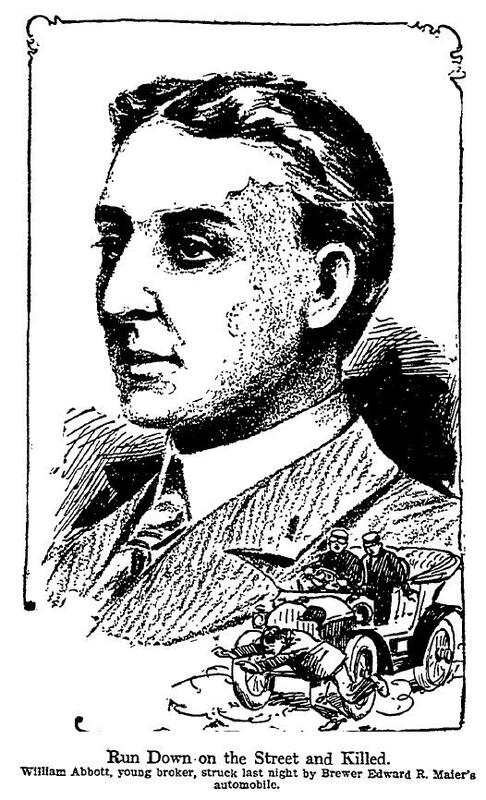 In March 1906, the court sided with Zobelein, both for legal reasons and in weighing his business experience against the youth of the Maier boys. "For though worthy these young men are," said Judge Walter Bordwell, "they are by reason of their youth lacking in the mature judgment and skill which comes only from long years of experience; the plaintiff, by reason of his successful career, covering a period of more than 25 years in connection with this particular business, should, as a matter of business policy, be accorded the management of the business." 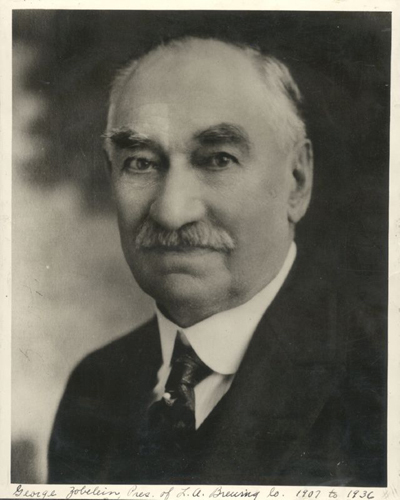 After Zobelein’s departure, Joseph Frederick Maier -– known as Fred -– ran the Maier Brewing Co., serving as president and general manager, while his younger brother, Edward, officially served as the company’s secretary and treasurer. While still in high school, Fred Maier worked in various departments at the brewery, learning its operations from top to bottom. After high school, he attended the Wahl & Henius American Brewery Academy in Chicago, one of the nation’s premier brewery schools, where he studied the science and practice of brewing beer. But Fred didn’t run the business for very long. 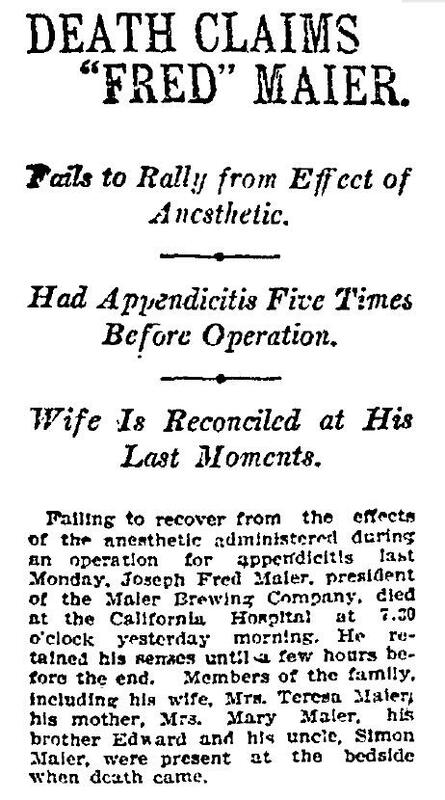 In early April 1909, only two years after the Maier brothers bought out their father's former partner, he was stricken with appendicitis and underwent emergency surgery. Although the surgery was a success, Maier failed to recover from the anesthetic, and died on April 11, at the age of 32. 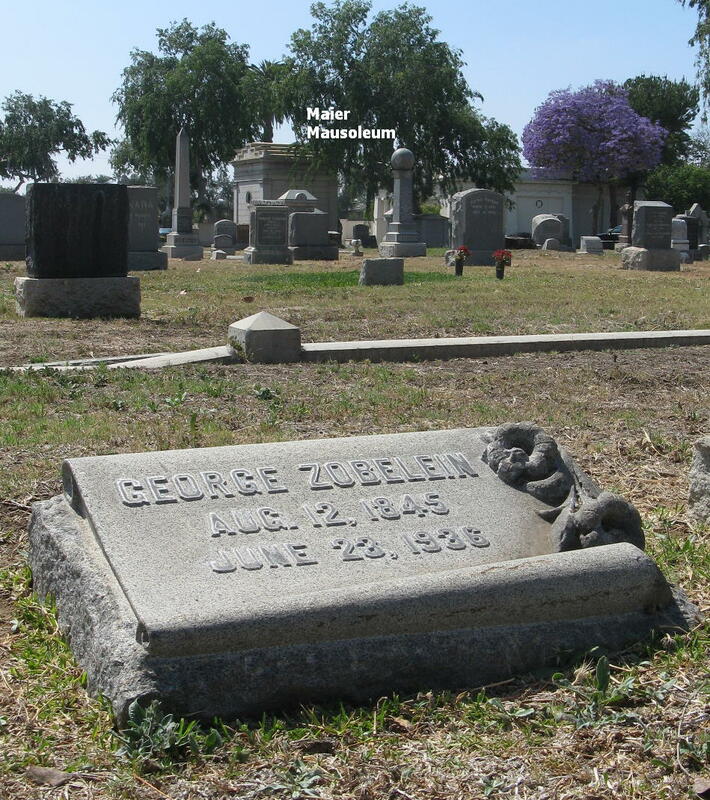 He was buried in the family mausoleum at Angeles Rosedale. During his brief tenure, Fred Maier was a dedicated and hard-working brewery president who was successfully expanding the business -– in fact, many of the reports on his death cited the long hours he spent at the brewery, and suggested that his tireless work schedule might have been a contributing factor to his illness. 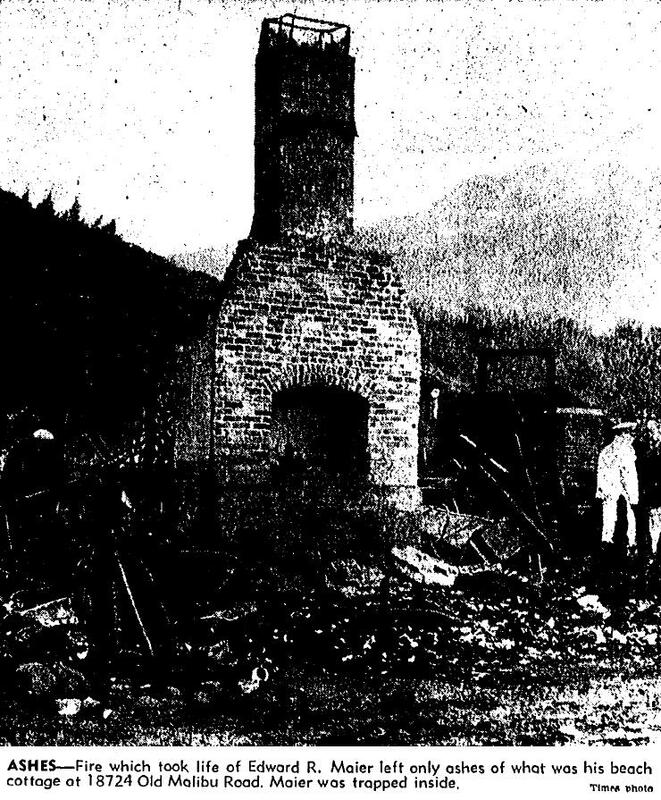 Fred’s death put the brewery into the hands of his younger brother, Edward, then 26. In 1909, shortly before Fred Maier’s death, the brewery purchased the Vernon Tigers, a new Minor League baseball team in the Pacific Coast League, and built Maier Park in Vernon, a small town a few miles south of Los Angeles. The plan was to use the team to help promote the brewery – and, of course, sell Maier beer at the ball park. In January 1916, Edward’s mother, Mary Schmidt Maier, died at the family home at the age of 55, and joined her husband, oldest son and daughter in the Maier family mausoleum. The following year, Edward went to Pennsylvania to marry Kathleen Stegmaier, granddaughter of Charles Stegmaier, founder of the Stegmaier Brewing Co. of Wilkes-Barre, Pa. The Maiers had five children -- Edward Richard Jr., Mary Georgine, Christine Anne, Kathleen Estelle and Joseph Frederick. And then came Prohibition, the 18th Amendment, and the national ban on the sale, production and transportation of any beverage with more than 0.5 percent alcohol, from 1920 to 1933. During those 13 dry years, more than half the brewing companies in the country went out of business. The others, including Maier, were able to stay open by making soft drinks and “near beer,” with an alcohol content of 0.5 percent or less. (To compare, most popular U.S. beers today have an alcohol content of 4 to 5 percent.) The Stroh brewery in Detroit also produced ice cream, since ice cream parlors were replacing saloons as public gathering spots. Stroh’s ice cream became so popular and profitable that the company continued to produce it, even after Prohibition ended. Throughout the Prohibition years, federal agents kept a close watch on the breweries, making sure that their "near beer" didn’t exceed 0.5 percent alcohol. 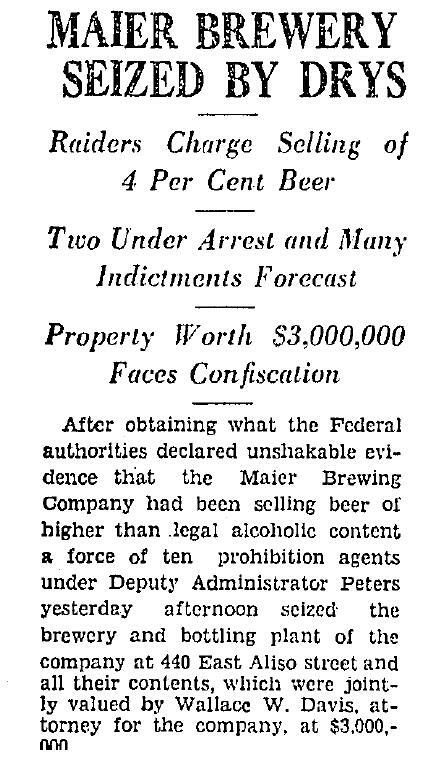 On March 29, 1932, 10 federal agents swooped down in a raid on the Maier Brewery, arrested two employees, including the brewery’s sales manager, for selling beer with an illegally high alcohol content, seized the entire brewery and bottling plant, and posted guards around the property. 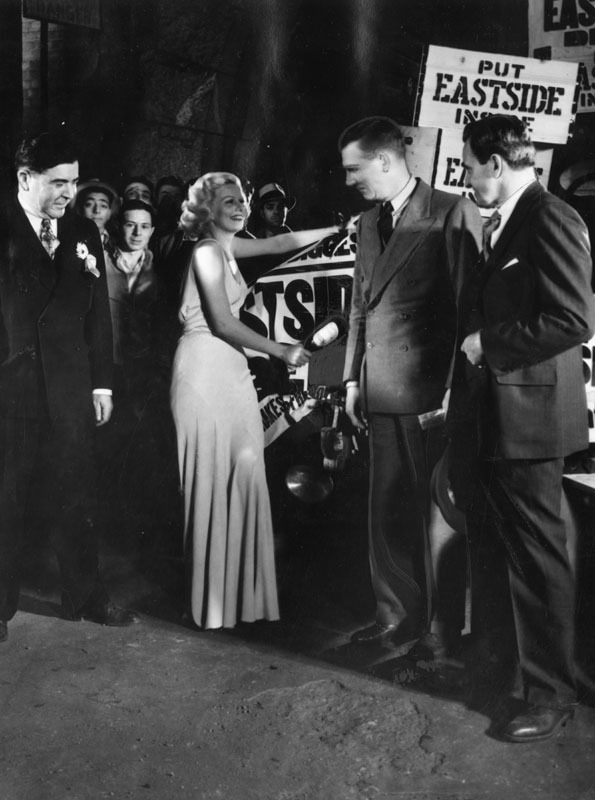 The agents had received information and evidence during raids on area speakeasies that illegal alcohol was being supplied by the Maier Brewery. The maximum possible penalty would include the seizure of all the brewery’s property, equipment and contents, which would then be sold at public auction. Edward Maier -– who denied any knowledge of the potent brew and was never charged -– was at risk of losing absolutely everything that his father and his family had created and built over the past 50 years – property and equipment valued at $3.5 million, or about $60 million today. Meanwhile, during the months while the federal case against the brewery was moving through the courts, the business was closed, and 37 employees filed a lawsuit against Maier to recover their lost wages. The sales manager pleaded guilty and was fined $50, and the charges against the other employee were dropped. But, despite the repeal of Prohibition and the reopening of his brewery, 1933 was not a good year for Edward Maier. 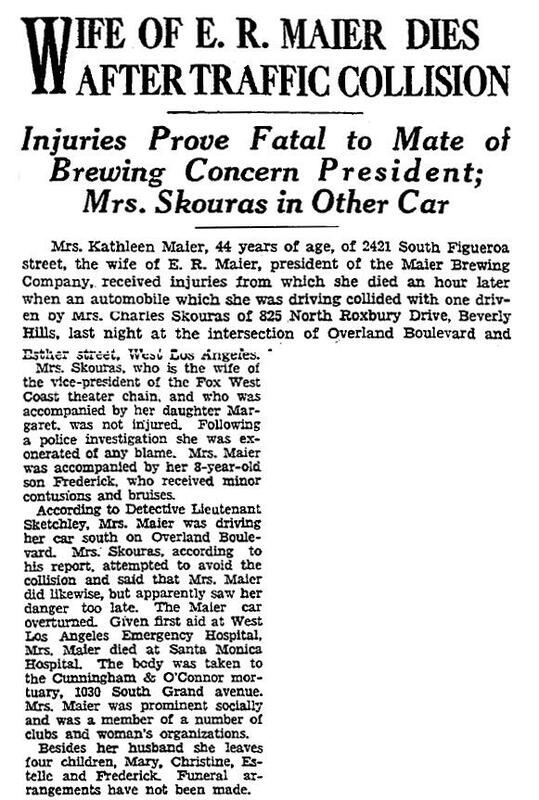 In March, his wife, 41-year-old Kathleen, was killed in an automobile accident at the intersection of Overland and Esther avenues in Los Angeles, leaving Edward to raise their four surviving children -– Mary, Christine, Kathleen and Joseph. Their oldest child, Edward Richard Jr., died in 1931 at the age of 12. Edward Jr. was attending St. John's Military Academy in Chatsworth when he was stricken with sinus trouble. He underwent three surgeries and a blood transfusion before he died. 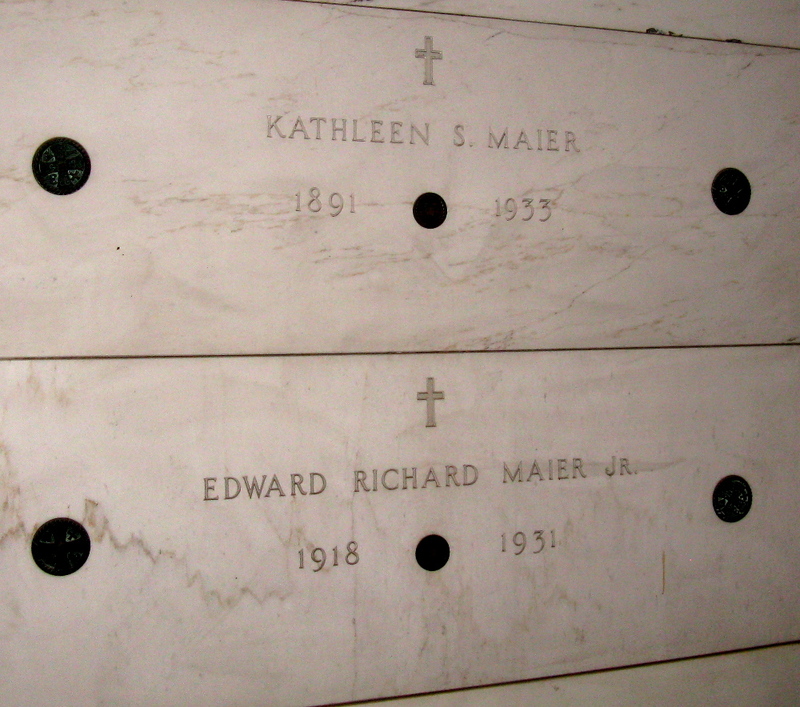 Kathleen and Edward Jr. are buried together in the Main Mausoleum at Calvary Cemetery in East Los Angeles. 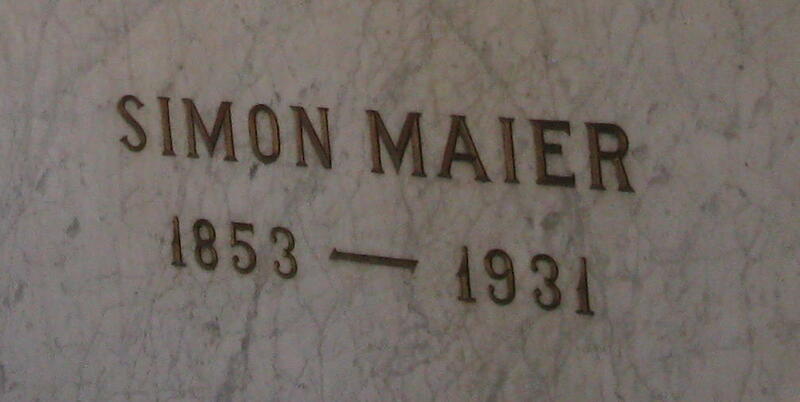 Joseph Maier's brother, Simon, who immigrated with him from Bavaria, also died in 1931, at the age of 78, and he's also buried in the Maier mausoleum at Angelus Rosedale, along with his son, Joseph S. Maier, who died in 1929, at the age of 42. 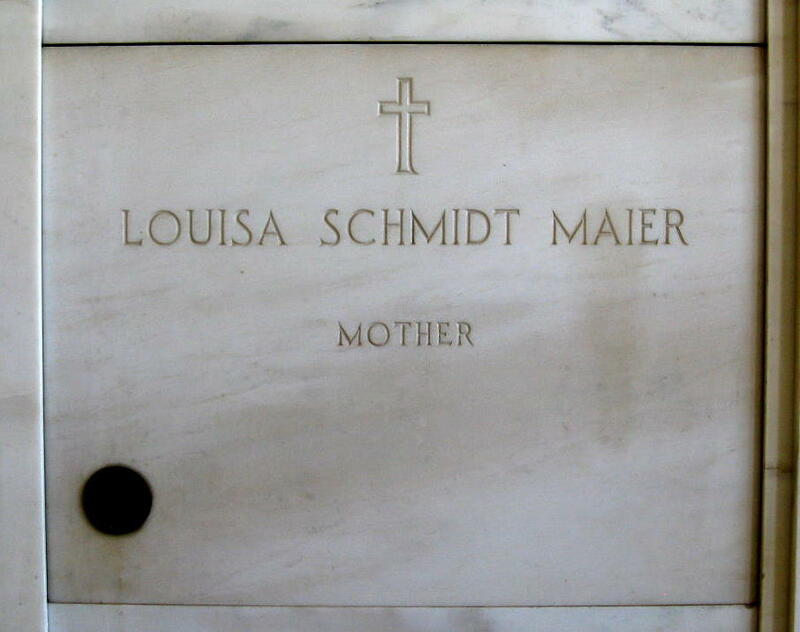 However, Simon's wife, Louisa Schmidt Maier, is buried at Calvary Cemetery, perhaps because when she died in 1942, at the age of 76, the Maier family mausoluem was already full. Edward Maier owned a large home in Beverly Hills, near Sunset Boulevard, and he also owned a beach house on Old Malibu Road, just off the Pacific Coast Highway, near Topanga. On Dec. 12, 1943, he died while trying to put out a fire at the beach house. Maier was alone in the house at the time of the fire, although a caretaker lived in a trailer on the property. The caretaker, Gus Bratzler, told police investigators that Maier ran to his trailer just after midnight, shouting that there was a fire in the house. While Bratzler grabbed a hose and connected it to a hydrant, Maier ran back into the house. Bratzler attempted to enter, but he was forced back by flames and thick smoke. By the time the fire department arrived, the house was fully engulfed, and the house was destroyed. Maier’s body was found in the bathroom, indicating that the fire might have started there, but the cause was never determined. And, yes, Maier's obituary described him as a "colorful Southland sportsman." 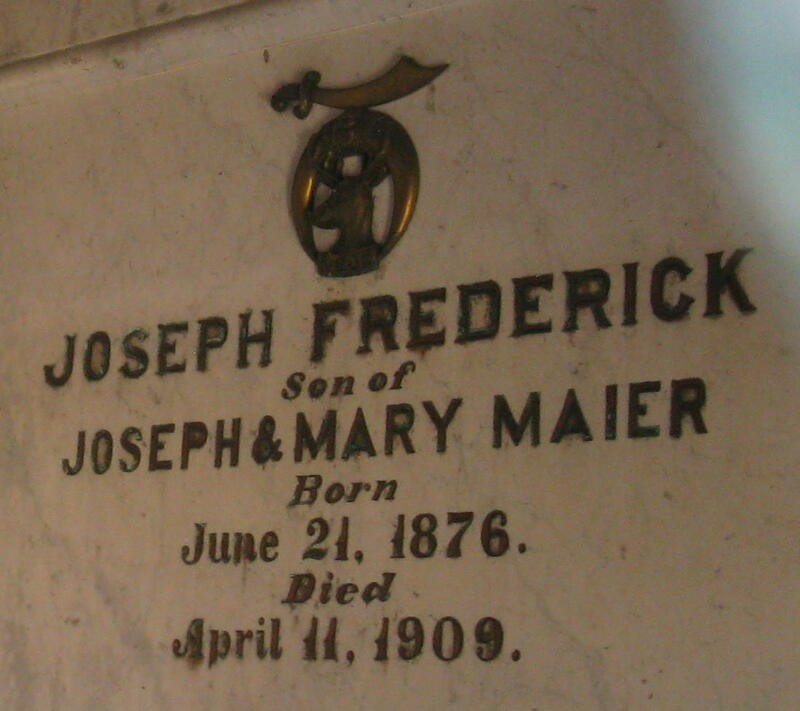 Maier is also buried in the Main Mausoleum at Calvary Cemetery, near is wife and namesake son. Perfecting the new finer Brew 102. Maier Beer is the best. In fact, Brew 102 was just the basic Maier Beer pale lager with a new name and a new label, and marketed as a low-cost beer for the working class. By the early 1950s, the Maier Brewery was producing about 400,000 barrels of Brew 102 and other labels every year. Thanks primarily to the strong sales of Brew 102, the Maier Brewery was able to replace its original brick buildings with massive, new, modern structures. By the late 1940s, a few of the major national brewers started to move into the Los Angeles market, pushing the local brewers out. 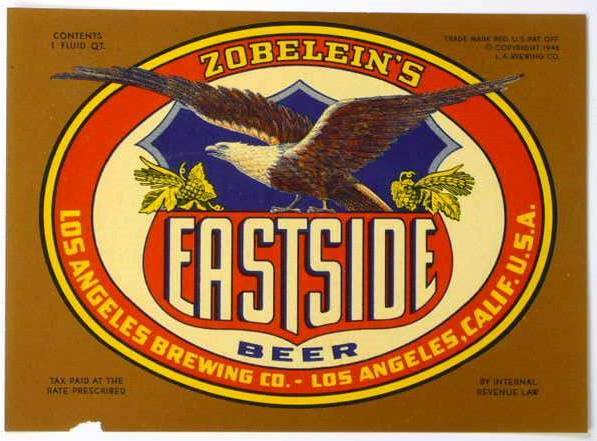 In 1948, the Zobelein family sold the Los Angeles Brewing Company and its Eastside brand to Pabst, and the brewery started producing Pabst Blue Ribbon. Anheuser-Busch and Schlitz arrived in 1954, opening large breweries in Van Nuys. 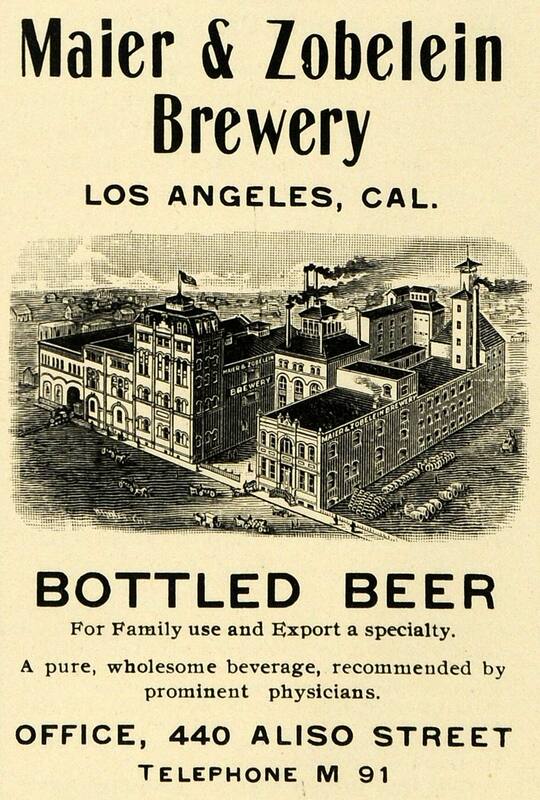 The Lucky Lager Brewery, which opened in Azusa in 1949, was purchased by Miller in the early 1970s. Production at Maier slipped from 468,498 barrels in 1952, to 149,384 barrels in 1955 -- a decline of nearly 70 percent in three years. Maier recovered by producing private-label brands -- specific brands that were sold by retail and supermarket chains, including Keg Beer for Vons, Royal Beer for Royal Foods, Brown Derby and Padre beers for Safeway, Bohemian Beer for Thrifty Drug Stores, and Golden Crown Beer for Market Basket. By 1958, about 95 percent of Maier's production was in the private-label category. The Maier Brewing Company was sold to San Francisco businessman Paul Kalmanovitz in 1958 for $7.8 million. The Maier business was the first brewery purchased by Kalmanovitz, who quickly developed a reputation for buying older, struggling, regional breweries. He would consolidate production operations at one of his larger national facilities and gradually start laying off employees. Eventually, he would close the brewery and attempt to develop the property by building shopping malls and office buildings. 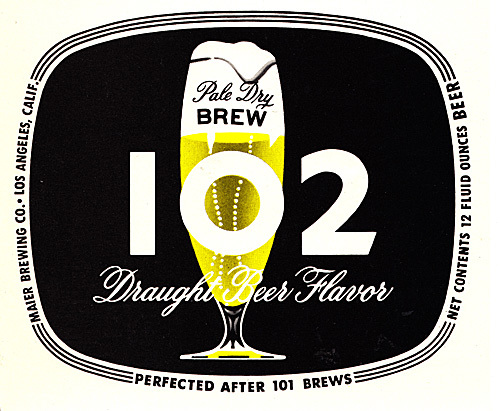 Kalmanovitz continued to produce beer at the brewery, including Brew 102, until 1972, when the brewery closed (and Brew 102 was produced for a short time in Vancouver, Wash.). In the 90 years from the time the brewery was purchased by Maier and Zobelein, to the time it closed, more than 100 different brands were produced, from A (Alps Brau Beer) to Z (Zody's Beer). The vacant brewery buildings remained until 1985, when they were demolished for the construction of the El Monte Busway and a parking lot. 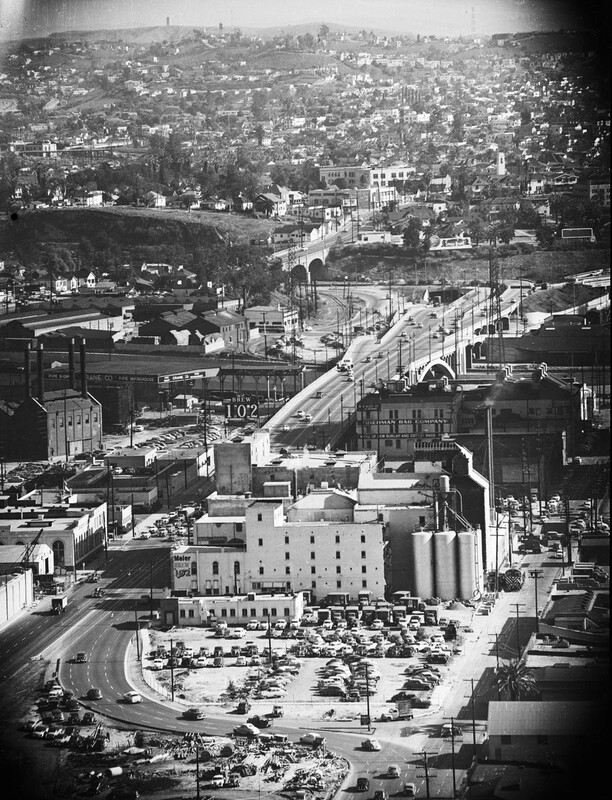 Although the Maier Brewery buildings are gone, drivers on the northbound Santa Ana / Hollywood Freeway – the 101 – can get an good idea of where the Maier brewing complex once stood. When the freeway was being laid out by the state Department of Transportation in the 1950s, accommodations had to be made for the massive Maier property. The sudden sharp swerve to the left, just before Alameda Street, exists because the brewery was there before the freeway. 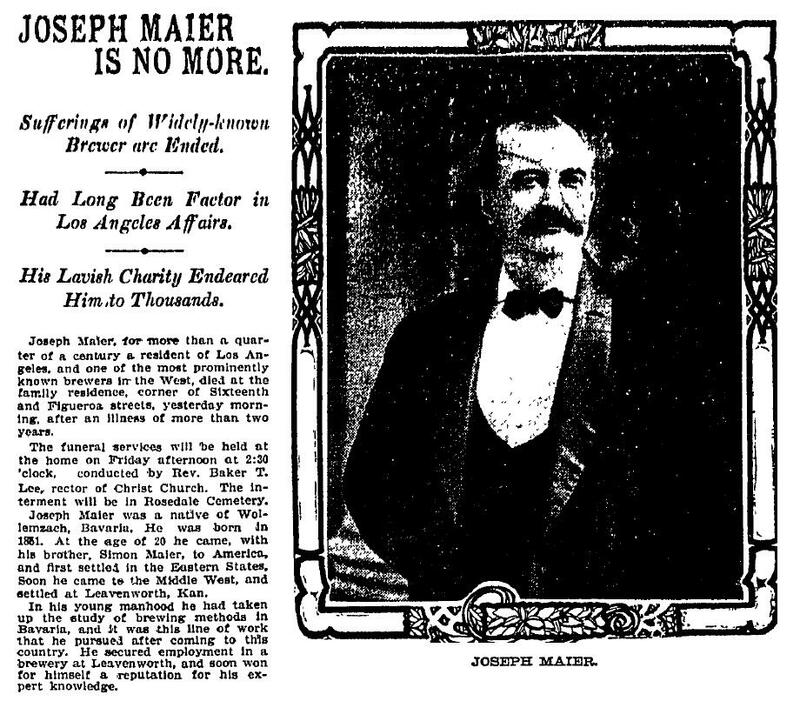 The final tragedy in the Maier Brewery history happened in 2005, exactly 100 years after the death of Joseph Maier. Although the brewery buildings had been torn down 20 years before, scavengers and brewery memorabilia collectors still visited the site. In June 2005, Gary Garcia and a few friends slipped through the chain-link fence surrounding the property. Using an old map and shovels, the group started to dig for old cans, bottles and anything else that might be of value to collectors. While Garcia, 52, was searching for buried brewery treasure, a pile of earth and gravel collapsed on him, slowly crushing him to death. "They knew what they were looking for," said a spokesman for the Los Angeles Fire Department. "There were indications that they'd been doing this on more than one occasion." Apparently, the group wanted to make one final attempt to dig up collectables before the property was paved over. Although they’re no longer in Los Angeles, the Maier family is still actively involved in the brewery business. The grandchildren and great-grandchildren of Edward and Kathleen Maier returned to northeastern Pennsylvania and opened the Susquehanna Brewing Co. in Pittston in 2010, not far from where Kathleen Maier’s grandfather, Charles Stegmaier, opened the Stegmaier Brewing Co. in Wilkes-Barre in 1857. In honor of their two lengthy brewing lineages -– the Maier family and the Stegmaier family -– the Susquehana Brewing Co. offers a beer they call Sixth Generation Stock Ale.